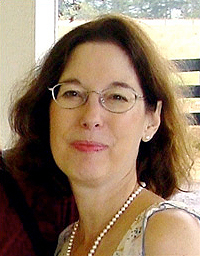 Judith Skillman - Skillman Family Association Inc.
Over the past three decades Judith Skillman has written and published numerous poems for books, journals, and anthologies. She has collaborative translations from Portuguese, Italian, and French. Her publications include local, regional, national, and international magazines; her interest in verse writing has led to many workshops and classes, and, more recently, to facilitating poetry and verse-related workshops. Skilllman has authored ten books of poems. From 1977 – 1978 she held a teaching assistantship at the University of Maryland, while working towards my masters degree in English Literature. She received the King County Arts Commission’s Publication Prize in 1987, judged by Madeline DeFrees. This prize of $5,000 enabled her to find a publisher for my first book, “Worship of the Visible Spectrum” (Breitenbush Books.) In 1991 Skillman was awarded a Washington State Arts Commission Writer’s Fellowship in the amount of $5,000. This grant provided funding from March 1991 – February 1992. Three residencies during the 90s, one from the Hedgebrook Cottages for Women Writers, and two from the Centrum Foundation, allowed her to pursue her creative work while raising three children. In addition, she received the Richard Hugo Memorial Scholarship in 1992 to attend the Centrum Writer’s Conference. Other awards include the Stafford Award from the Washington Poet’s Association, First Prize in the Pacific Northwest Writers Conference, and Honorable Mentions from The Journal and Kalliope. Judith did graduate work in Romantic Literature and Translation Seminars at the University of Washington in the Department of Comparative Literature from 1994 – 1995. She was commissioned from 1994 – 1997 as a literary artist member of a three-person team to create an original artwork for the Kent Regional Justice Center. My poem “The Jury” is etched in the windows of the jury waiting room. In 2003 she was a finalist in the David Robert Books Competition and my book, “Latticework,” the result of a collaboration with textile artist Erika Carter, was published in 2004. Her “New and Selected Poems: 1986 to 2006” was published by Silverfish Review Press in 2006, with an introduction by David Kirby. In August of 1999, Skillman was a translator in residence at the European College of Literary Translators and Interpreters in Seneffe, Belgium, with expenses paid. She is a member of the Richard Hugo House and Associated Writing Programs (AWP.) She taught Business and Humanities at City University from 1985 to 2005. Currently, she a faculty member at the University of Phoenix, Washington Campus. She teaches writing at the Richard Hugo House in Seattle, Washington. Heat Lightning; Selected Poems (Silverfish Review Press, 2006). Coppelia; Certain Digressions (David Robert, 2006). Circe’s Island (Silverfish Review Press, 2003). Red Town (Silverfish Review Press, 2001). Beethoven and the Birds (Blue Begonia, 1996). Worship of the Visible Spectrum (Breitenbush Books, 1986).